Parliament's committee to deliberate on McBride's letter - SABC News - Breaking news, special reports, world, business, sport coverage of all South African current events. Africa's news leader. 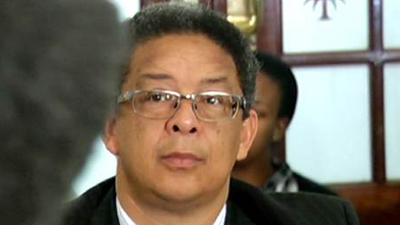 Independent Police Investigative Directorate head Robert McBride. Parliament’s Portfolio Committee on Police says it will deliberate on the letter Independent Police Investigative Directorate head Robert McBride sent to National Assembly Speaker Baleka Mbete. In the letter, McBride objects to Police Minister Bheki Cele‘s decision not to renew his contract when it expires at the end of February. McBride has also taken the matter to court to request it to force Cele to explain why his contract will not be renewed. Committee Chairperson Francois Beukman says they will look into this matter and make recommendations to Parliament. This entry was posted on 09 Feb 2019,05:07PM at 5:07 PM and is filed under South Africa, News, Homepage Latest Stories Slider. You can follow any responses to this entry through the RSS 2.0 feed. Both comments and pings are currently closed.